Here's a list of the five hottest geek girls and how you can date them. Most people think of nerds as ugly guys with braces and pocket protectors. That's changed a lot these days and there are some popular and handsome guys that have nerdy traits. Rarer is the "Celebrity Geek Girl" since it flies in the face of social convention. 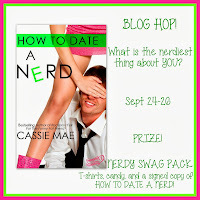 This post is part of the "How to Date a Nerd" Blog Hop by Cassie Mae. The stated goal is to name the nerdiest thing about yourself. Here it is: My brother and I can quote the entire movie Monty Python and the Search for the Holy Grail. We take turns being the different characters from King Arthur and the French Taunters to Sir Lancelot and the Gatekeeper at the Bridge of Death. Now we've never done them all at one sitting, but we've done each scene dozens of times. Now here are the nerdiest celebrity babes you'll ever meet and what it takes to date them. Nerd Cred: In 2009, she co-hosted five episodes of G4's Attack of the Show, when Olivia Munn went on vacation. She's a huge fan of cosplay and wears costumes of Padme Amidala and Batwoman. Turn-Ons: Shyness, facial hair and a guy who likes to get dirty and work with his hands. Hot Cred: #13 of the Top 20 Sexiest Geeks over at Wired.com. Director Kevin Smith has called her "the hottest geek on Earth." Hot Cred: Ranked #42 on the Maxim magazine "Hot 100 Women" of 2008 list. Ranked #3 on Maxim magazine’s Hot 100 Women of 2010 list. Voted #37 on the 2011 Maxim list “Hot 100″ women. Ranked #91 in the 2011 FHM list of “100 Sexiest Women in the World”. Ranked #24 in the 2010 FHM UK list of “100 Sexiest Women in the World”. Nerd Cred: She loves stories that fall into the "category of geekiness" and says she is a "proud geek." Saldana used to pretend to be Ripley from Aliens. Nerd Cred: Mila Kunis is an avid World of Warcraft player. She says that she and her boyfriend, Macaulay Culkin, played WoW for hours. Kunis is a member of several Guild leagues. Kunis describes herself as a "massive Trekkie." Turn-Ons: Freedom, privacy and "funny" guys. Hot Cred: Ranked No.16 on the Maxim magazine Hot 100 of 2008 list. #68 in FHM magazine's "100 Sexiest Women in the World 2006", #18 on the Maxim magazine Hot 100 of 2007 list. #1 on Moviefone's 'The 25 Hottest Actors Under 25' in 2008. #2 on the Maxim magazine Hot 100 of 2009 list in 2009. Voted "Sexiest Woman in the World" by FHM readers in 2008. #14 in Men's Health Magazines "100 Hottest Women of All-Time" in in 2011. People Magazine named her one of 2012 "Most Beautiful at Every Age." Geek Cred: Thanks to her "Super Nintendo" game system as a child, Megan Fox is a serious video-game player and is a long-time fan of the "Mortal Kombat" series. She reportedly frequents 'Lord of the Rings' message-boards. Before becoming an actress, Megan Fox originally wanted to be a comic-book artist and can name several of her favorite artists. So, what's the lesson? Be yourself and embrace your nerdy side. Go out there and find yourself a hot nerd! By the way, 78% of our readers are male, so this is written for our target audience. However, if you're a girl, and want to balance the scales, feel free to leave a comment on who you think is the hottest celebrity nerd guy and why. We'll do a follow-up piece if there's enough interest. 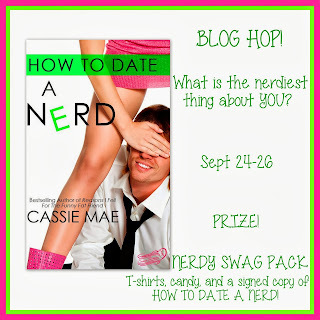 Find out more about the book "How to Date a Nerd" at Good Reads! Who do you think is the hottest celebrity geek girl? I think the only way I'd date any of them is through almost deadly amounts of alcohol. I've always had a thing for Summer Glau. First she is from San Antonio, Second she was River Tam. That should have been enough, but she was in Terminator: The Sarah Connor Chronicles, and did the voice of Kara Zor-El / Supergirl in Superman/Batman: Apocalypse. Now she is on Arrow. And now all I have to do is randomly run into them? Easy peasy! Why couldn't you have published this list before I got married (7 years ago)? I totally would have had a shot with all of these ladies! We especially love to gossip about celebrities, celebrity culture is a much more complex phenomenon than it appears at first glance. We never talk positively about unknown people.